We all have those moments–a forgotten appointment, a name we can’t recall, a word that’s on the tip of our tongue. For the most part, these incidents don’t worry us. However, as we age, they seem to increase in significance. We wonder if we’re losing our edge. With Alzheimer’s disease and dementia constantly in the news, we can find ourselves falling prey to a climate of fear that plays on our worst anxieties about losing our cognitive capacities. Luckily, there are a number of steps we can take to preserve our mental sharpness. Like any other organ, the brain responds to input. Not just mental and emotional input, but diet and exercise, as well. Many of the strategies we adopt to maintain overall health also support the brain. We can keep that mental acuity, and it only takes a few simple brain-friendly habits. For a healthy brain, stock up on foods that are rich in omega-3 fatty acids, such as fish, flaxseed, raw nuts and seeds. One of the brain’s biggest enemies is oxidative stress from excess free radicals, which are generated by toxins, exercise, illness, stress, and normal metabolic processes, among other factors. Like a lunchroom bully, free radicals (atoms or molecules that are short one electron) take what they need from other atoms. As levels of free radicals increase, one theft leads to another, creating a cascade of inflammatory chain reactions that can damage cells down to their DNA. Antioxidants can help block this cycle, which is why we hear so much about these super nutrients, and there is a wide variety of sources–foods, herbs, and supplements–to choose from. 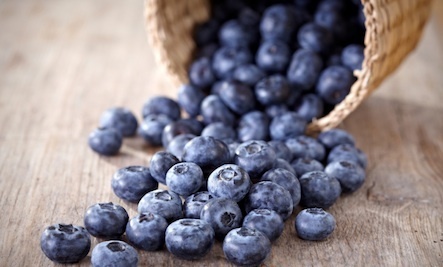 Blueberries are a rich source and have been shown to protect neurons from oxidative stress. Other good antioxidant food choices are beans, cranberries, artichokes, prunes, and raspberries. Herbs and spices like sage, rosemary, ginger, and turmeric are chock-ull of antioxidant compounds to protect the brain and support numerous other areas of health, as well. 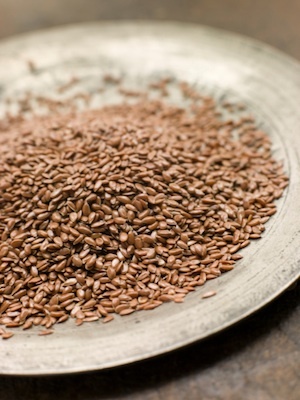 Stock up on foods that are rich in omega-3 fatty acids, such as fish, flaxseed, raw nuts and seeds, and grass-fed beef. While omega-3s are more often touted for their heart-health benefits, they are crucial to brain health, too. A study published in the journal Neurology found that people deficient in omega-3s had smaller brains and did more poorly in cognitive tests. The researchers asserted that omega-3s reduce signs of aging in the brain. Vitamin E has also been associated with improved cognitive health. In addition, one study indicated it can help patients recover after a stroke. Vitamin E is also a potent antioxidant. Be sure to look for the natural form called d-alpha tocopherol, often found with a blend of mixed tocopherols. Avoid dl-alpha tocopherol, a form that is synthetic and not well absorbed. As noted, oxidation can play a big role in damaging neurons, leading to cognitive decline. One of the most potent antioxidant supplements is a botanical called honokiol. Derived from magnolia bark, honokiol is 1,000 times more powerful as an antioxidant than vitamin E and has been shown protect the brain in numerous ways. Because its molecules are so small, honokiol taken orally is very easily absorbed, and even has the unique ability to pass through the blood/brain barrier. This allows honokiol to exert it effects directly on brain tissue. Honokiol is shown to improve mood, influencing GABA and other neurotransmitters that help mediate both anxiety and depression. It also is shown to aid in stroke damage and protect against the amyloid plaque associated with Alzheimer’s disease. Another supplement that benefits brain health is curcumin, the active ingredient in turmeric. In a recent study from the Salk Institute, a drug derived from curcumin reversed Alzheimer’s disease in mice. This is not an isolated study. Other research has shown that curcumin influences neuron creation and enhances memory. Multiple studies have shown a close relationship between exercise and improved brain function. One project found that women over 65 who walked 30 minutes a day slowed their cognitive decline. When measuring mental acuity, the researchers found that the people who exercised appeared several years younger than those in the control group, who did not exercise at all. Another study comparing activity levels and brain health looked at people over age 70. The more active group was significantly less likely to develop cognitive problems. The study also helped clarify the types of activities that promote cognitive health. In addition to “normal” exercise, the researchers found that simple actions, such as standing up and walking around the room, were also beneficial. Other research has shown that exercise can actually increase brain size. One study used MRIs to compare brain sizes in people who exercised with those who did not. The group of exercisers did significantly better. Maintaining a larger brain is important because one of the side effects of aging is reduced brain volume, which may be implicated in cognitive decline. Scientists at UCLA found that meditation increases a process called cortical gyrification, which helps us retrieve memories, form decisions, and focus. 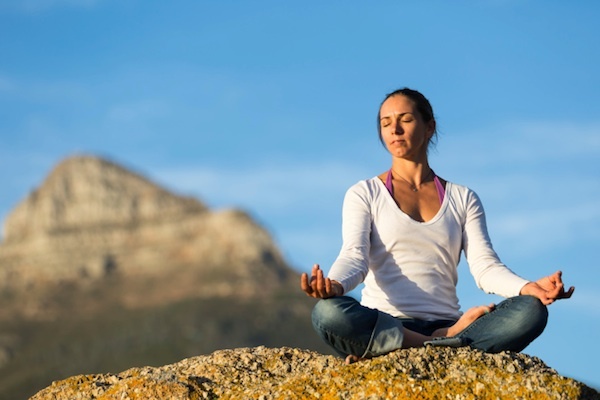 The calming effects of meditation are well documented. However, some research has shown that the practice actually changes brain architecture. Scientists at UCLA found that meditation increases the folding in the cerebral cortex, a process called cortical gyrification, which improves the brain’s ability to process information. Specifically, increased gyrification helps us retrieve memories, form decisions, and focus. To me, the most striking aspect of these recommendations is their applicability to overall health. Diet, appropriate supplements, exercise, and meditation also benefit heart health, and they can reduce the risk of cancer, diabetes, and metabolic syndrome–plus, they simply make us feel better. In the big picture, good practices support health at all levels, forming a foundation for mind-body wellness, longevity, and vitality. I so would like to have a healthy brain. I eat right, I exercise, and still I forget stuff. I would blame it on getting older, but I have had this problem since I have been a teen. Very interesting I will certainly try some of these ideas -------thank you for sharing. Great article.. saving and also sharing it!